Manchester Metropolitan University School of Art, by Feilden Clegg Bradley Studios. Library of Birmingham, by Mecanoo. Half of the shortlisted practices are led by women (Francine Houben of Mecanoo, Sheila O’Donnell as equal partner with John Tuomey, and Zaha); half are non-UK practices; and half of the buildings are outside London – or in London, if you prefer. There are two international star architects on the list: previous double Stirling winner Zaha Hadid, and Renzo Piano in his first appearance here. Then come two high-profile overseas architects in the form of Mecanoo from the Netherlands, and – with multiple previous shortlist appearances, but never yet the top prize - O’Donnell +Tuomey of Dublin. Only Bath-originating Feilden Clegg Bradley could at a pinch be regarded as a UK regional practice – and since it also has offices in London and Belfast, that would be multi-regional. In recent years it has been a prolific winner of RIBA awards. But this year it is challenged by Haworth Tompkins, previously shortlisted in 2007 for its Young Vic theatre revamp. This year it has picked up four RIBA regional awards and two at national level, for its London Library project as well as the Liverpool Everyman. This is, perhaps surprisingly, the practice's first all-new theatre but – unsurprisingly, if you know its work – hardly seems to be, such is its use of recycled materials from the previous theatre and overall sense of this playhouse’s tradition. In this ultra-crafted vein, many will be rooting for perpetual bridesmaid O’Donnell + Tuomey. Its LSE student union with its folded brick facades and rich interiors is arguably its most powerful and ingenious piece of work yet, in the best tradition of James Stirling for whom the partners once worked, and with an obsessive attention to detail. But the consistent quality of Feilden Clegg Bradley’s work has clearly been recognised by the judges too, at its well-received MMU School of Art. Mecanoo’s Library of Birmingham is an undoubted beacon for that city, and represents a welcome return to civic pride in a year when the national awards are encouragingly full of good new civic buildings. It is an example of the New Ornamentalism, and not everyone likes its filigree façade, but most are converted once they step inside. That leaves the world star names: Renzo and Zaha. 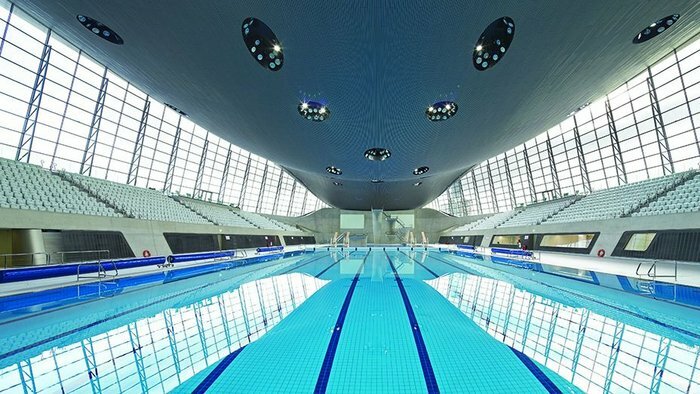 Zaha’s Aquatics Centre has shed its clumsy temporary ‘ears’ of Olympic seating to emerge sleekly in legacy mode as a public facility. And Renzo’s Shard? The only building on the shortlist not to be publicly funded, unless you regard Qatari state petrodollars as ‘public’, this is the one that will most divide opinion. A great mixed-use skyscraper, a marvellous addition to the London skyline, or an example of naked capitalism and architectural arrogance at work? Interestingly, it’s almost as popular with the public as Foster’s Gherkin. Yes, it’s a strong shortlist all right. Consider the high-profile contenders that didn’t make it: Caruso St John’s Tate Britain revamp; John McAslan’s King’s Cross station reorganisation; Hopkins’ Brent Civic Centre; a slew of EU projects by big names; and – its exclusion mourned not least by us at the RIBAJ – Adam Richard’s Ditchling Museum of Arts and Crafts, a little jewel of a project. You can argue the pros and cons all you like, but you don’t leave out buildings of that quality unless you are spoiled for choice. So our congratulations and best wishes to all the architects here. We have reviewed all of the Stirling Prize shortlisted buildings previously in the RIBA Journal. Click on the article links below to find out more on each.